Offered to the rental market for the first time after major improvements and modernisation, we have been given the opportunity to market this splendid extremely spacious 4 bedroom semi detached family home. To the rear is an attractive established mature garden which backs onto Langley Park Golf Course. Further benefits of the property to mention include a modern grey fitted kitchen, large shower room and tasteful grey decoration and flooring throughout. 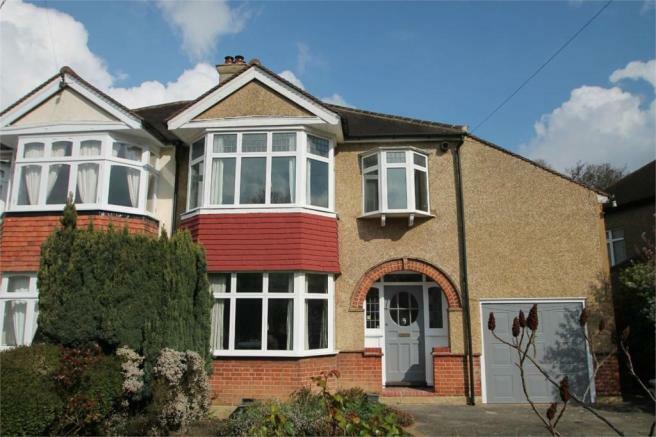 Situated at the bottom of The Avenue within walking distance of West Wickham station, leisure centre and various schools which include the Langley Schools which continue to both be extremely popular. West Wickham High Street is also nearby with a variety of shops and leisure facilities. Bromley town centre is just a short drive away with a wider selection of amenities. This property is marketed by Proctors, Shirley at £2,300 per month. Rightmove has calculated the price per week for comparison purposes only. Property reference 4731773. The information displayed about this property comprises a property advertisement. Rightmove.co.uk makes no warranty as to the accuracy or completeness of the advertisement or any linked or associated information, and Rightmove has no control over the content. This property advertisement does not constitute property particulars. The information is provided and maintained by Proctors, Shirley.